A 21 year old Irishman, Ibrahim Halawa, was released from jail in Egypt on Tuesday after four years of imprisonment. Halawa, who was 17 at the time, was arrested in 2013 in connection with protests in Cairo against the ousting of then-President Mohamed Morsi by the Egyptian military. The protests turned violent and 480 arrests were made, 439 of which resulted in sentences ranging from five years to life in prison. Several other foreigners are still imprisoned in Egypt as a result of these protests, including a young American, 27-year-old Ahmed Etiwy. President Abdel Fatah el-Sisi has been widely criticized for his imprisonment of political opponents, but President Trump has been reluctant to demand Etiwy’s release. A double attack at a restaurant and checkpoint killed more than 80 people on Thursday and injured an additional 93 in the southern Iraqi city of Nasiriyah. Those killed included, but were not limited to, Shiite Iraqi and Iranian pilgrims on their way to visiting sacred shrines in the Karbala and Najaf. Islamic State took responsibility for the attack. As the terrorist organization loses more territory in Iraq and Syria, its members have taken advantage of regional and coalition security forces spread thin over an increasingly larger area. Also in Iraqi news this week, Iraqi Kurdistan’s President Masoud Barzani insists that the Iraqi Kurds will vote on whether to declare sovereign independence in a referendum to be held on September 25th. The United States, Iran, Turkey, and the Iraqi government have all called on the vote to be postponed, fearing greater instability in the region should a new nation be declared. The fate of the oil-rich city of Kirkuk is at the heart of the debate, with all parties eager to direct the profits generate from its oil and gas reserves into their respective pockets. Acting on a request from the Saudi Arabian government, Snapchat blocked users in Saudi Arabia from accessing Al Jazeera’s news and videos this week. The Saudi government said that Al Jazeera’s Snapchat channel violated local laws. 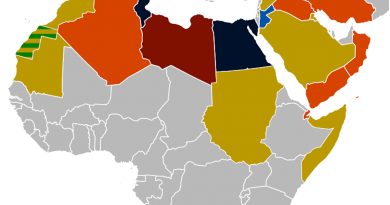 Saudi Arabia, the United Arab Emirates, Bahrain, and Egypt blocked their residents’ access to Al Jazeera platforms in June of this year. While a spokesperson for Snapchat said that the company tries to respect local laws in the countries in which it operates, Al Jazeera urged Snapchat to reevaluate the decision. Saudi Arabia has one of the highest number of Snapchat users in the world, with approximately eight million users of the popular app. Turkey sent 80 military vehicles to its southern border with Syria as part of a “de-escalation” plan in cooperation with Russia and Iran. During talks in Astana, Kazakhstan last week, Russia, Turkey and Iran – all major international players in the Syrian Civil War – agreed to set up and oversee four de-escalation zones in Syria for an initial period of six months. The zones are in opposition-held areas of Syria, and the goal is to encourage the cessation of hostilities between anti-government groups and forces loyal to Bashar al-Assad. The Syrian Civil War has claimed hundreds of thousands of lives and contributed to a major refugee crisis since it began in March of 2011. Qatar signed an arms agreement with the UK this week, its second deal since the Gulf dispute began in early June. The agreement stipulates that Qatar will purchase 24 fighter jets from Great Britain, although the monetary value of the aircrafts has not been released. Michael Fallon, the British Secretary of Defense, said that he hopes the deal will “help enhance security within the region across all Gulf allies.” Earlier this summer, Qatar signed a deal to buy F-15 fighter jets from the United States for $12 billion.